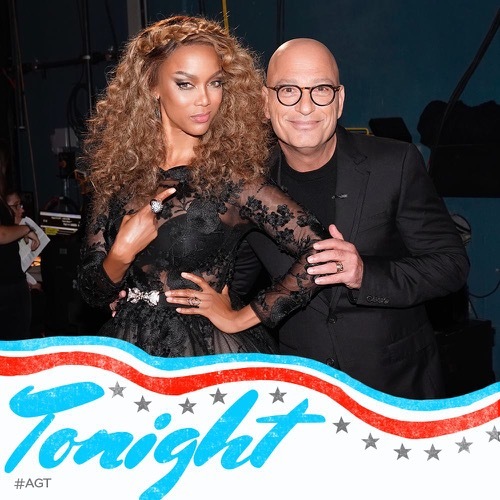 Make sure to bookmark this spot and come back later for our America’s Got Talent recap from 9 PM – 10 PM ET! Refresh often so you get the most current info! While you wait for the episode head over and check out all our AGT spoilers, news, recaps & more! The Finales are almost here! However, not everyone was going to be moving on to the Finales and so tonight there were even more eliminations. The contestants were eliminated based on their performances from the night before and, so in most cases, the audience had already decide who would go and who would except the Dunkin’ Save was the Wild Card. The Dunkin’ Save allowed the audience to save one person out of three and tonight’s competing trio were Colin Cloud, the group Diavolo, and Kechi Okwuchi. Kechi had wowed the audience as well as the judges with her performance of “Don’t Worry About Me” by Frances however she found herself easily as vulnerable as Colin. Now Collin was more than a mere magician. He had an understanding of the human mind that was simply unfathomable to anyone that’s never seen him in action. So it made no sense why Colin, Kechi, or for that matter Diavolo would be up for elimination yet the audience had until end of this recap to vote. Voting is what kept people around and so vote while you can! Meanwhile, as voting was underway, Tyra went through the list and started to say goodbye to some of the contestants that didn’t get a second chance. So the first group Tyra announced was up for elimination was Christian Guardino, Merrick Hanna, and Angelica Hale. The group was comprised of a lot of young talent and so technically the audience was aware that any one of the three could easily come back next year. Though the winner out of three proved to be the youngest – Angelica Hale. Angelica had performed “Without You” by David Guetta on Tuesday and had won everyone over. Especially Heidi Klum who confessed that Angelica was her personal favorite and truly everyone just liked her. So there were no hard feelings when she won and she had even gotten a goodbye hug from Christian before he left. And so it was all both joyous and heartbreaking though it was only the first elimination of the night and unfortunately there was more to come because the next group up for elimination were Celine Tam, Mandy Harvey, and the Pompeyo Family. The Pompeyo Family performed a dog act with their pets while both Celine and Many were vocal artists. But one of the things Simon had said the night before had proven to be an indicator to how tonight was going to end. So what did he say? He said that Mandy’s performance of her own original song “Release Me” had reminded him of the first time he ever heard Adele. And with Adele being Adele, that was a huge compliment and also showed that Mandy had what it took to go far so it was no surprise that she won her elimination round. Mandy had been heartbroken about the others getting eliminated and so there had been some tears. However, the judges and the audience were in agreement when they all thought she was extremely talented. So the audience said goodbye to the Pompeyo Family and gave their best wishes to little Celine, but eventually Tyra got to her last group before the Dunkin Save. Tyra announced In the Stairwell and Light Balance as the last group up for elimination and, while the audience loved them both, they chose to save Light Balance. Light Balance were an interesting Dance Group that somehow worked chromatic lights into this wonderful performance that Mel B wished would never stop. Yet, she was the same one that was quite vocal about the In the Stairwell. In the Stairwell had been an Air Force A Cappella Group with admittedly cheesy moves however that was part of their appeal and to be fair they also had a big showing from the military community. So it was sad to say goodbye to them just as it was sad to goodbye to everyone else, only the show must go on. But before they got around to the Dunkin’ Save, the judges had their fun. They brought some kids to tell them the honest truth about the show and Simon even got some popcorn thrown on him for all his trouble. So the judges were up to their usual mischief and they had also gone through texts that fans wrote about their show before they got down to business. They brought Colin Cloud, Diavolo, and Kechi Okwuchi back up onstage where they found out together the Dunkin Save managed to save everyone’s personal fave – Kechi! Kechi had inspired everyone with their performance week after week and now she was going to the Finales! The judges, though, still had a choice to make. Kechi was safe however the judges then had to decide between Diavolo and Colin Cloud because only one of them could go into the Finales next week. So the judges took a couple of minutes amongst themselves as well as a nice little commercial break before they came back with their decision. And they decided to save… Diavolo! Daivolo were different and that’s what the judges felt their show was about so three out of the four voted to keep Diavolo around a while longer and sadly they eliminated Colin Cloud.